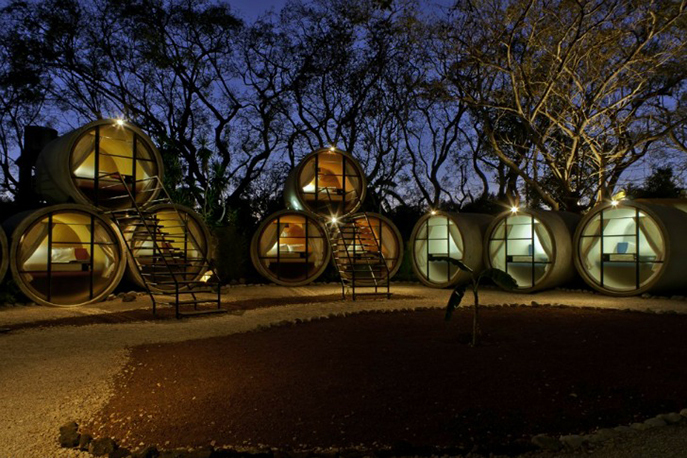 A number of 70s surf lingo terms come to mind when describing this funky hotel in Mexico, but we'll spare you our jokes. 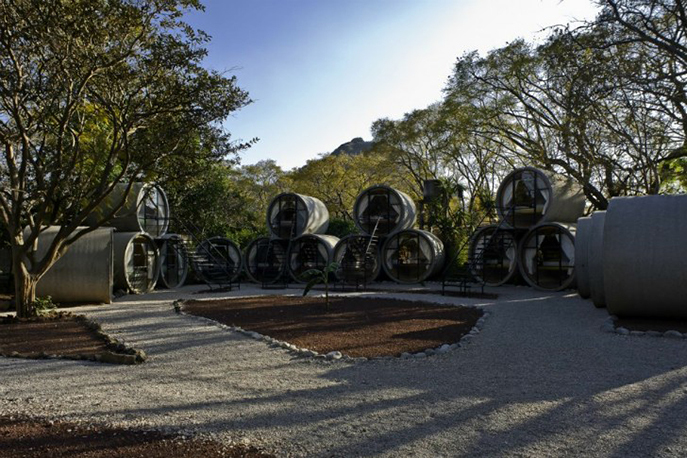 Designed by t3arc, the recycled pipe Tubehotel accommodates two people in a queen bed with panoramic views of the Sierra del Tepozteco outside of Cuernavaca. 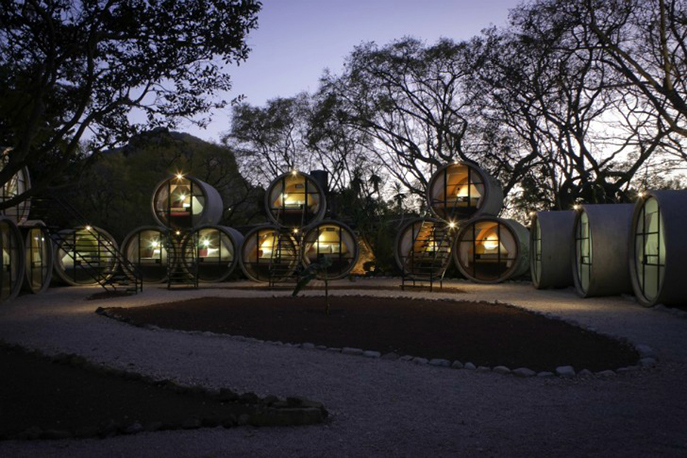 The goal in designing the modular hotel was to build fast and affordable accommodations while offering new tourism services to the area. 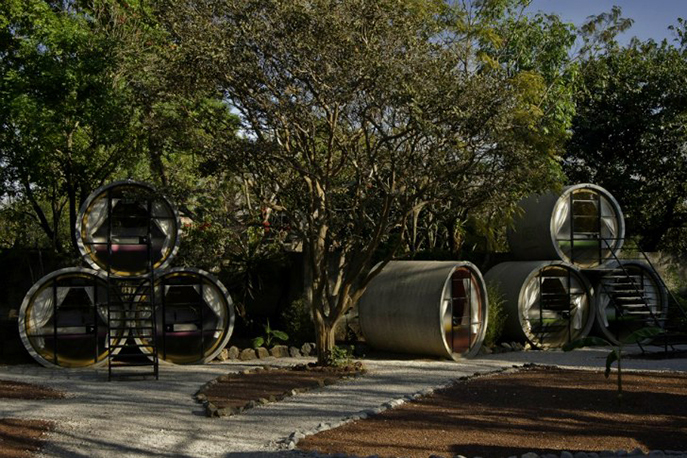 The client liked the concept of the pipe hotel and worked with the architect to design a hotel with 20 rooms. 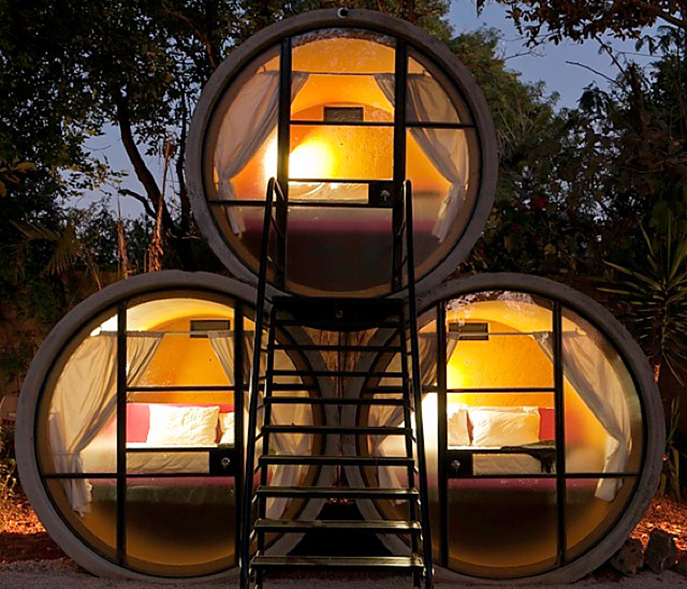 Unlike Strauss’ Desparkhotel, tubes were placed on top of each other to create a second story accessed via a staircase to create more density as well as better views for the upper floors. 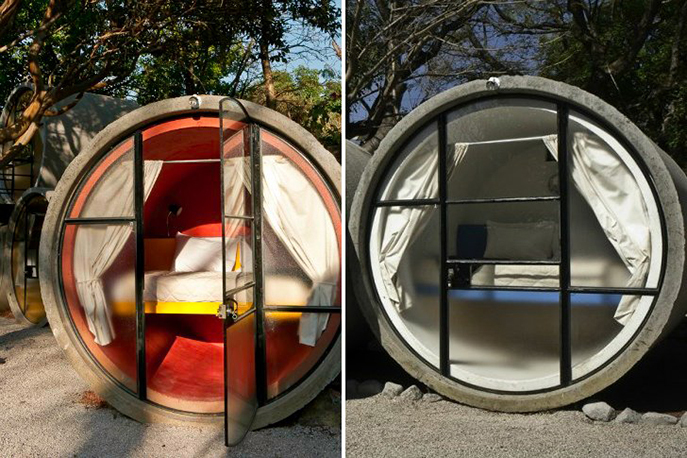 Inspiration for the Tubehotel came from the work of architect Andreas Strauss and Desparkhotel and the need to adapt an inexpensive room for users. 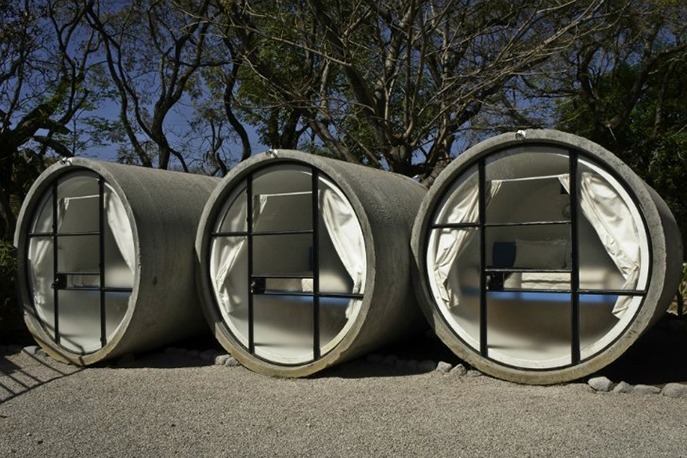 Each tube is 2.44 m wide and 3.50 m long and accommodates a queen bed with space underneath for storage. Custom built end caps provide windows and a door on one side with curtains for privacy. 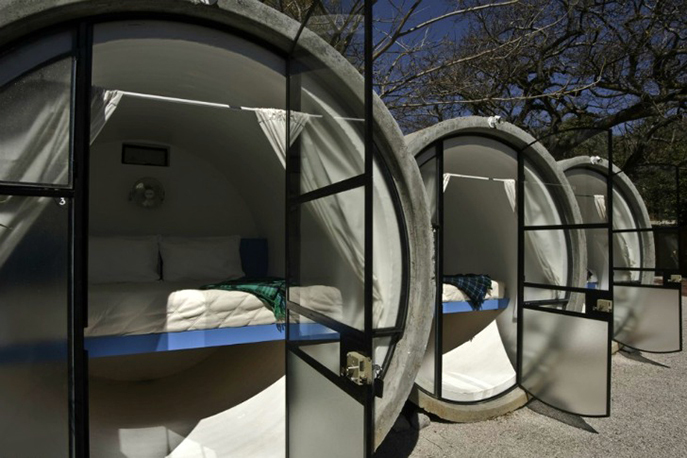 The tube rooms certainly aren’t large enough for a bathroom, so the hotel offers two bathhouses for their guests’ use. 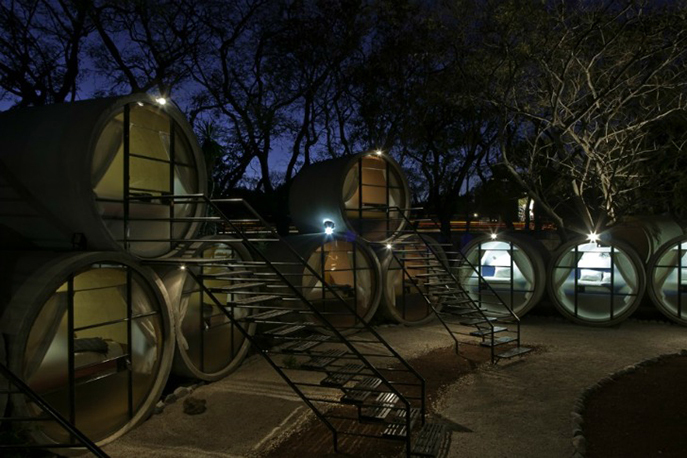 t3arc was responsible for building the first modular set of three tube rooms, while the hotel completed the remaining rooms. 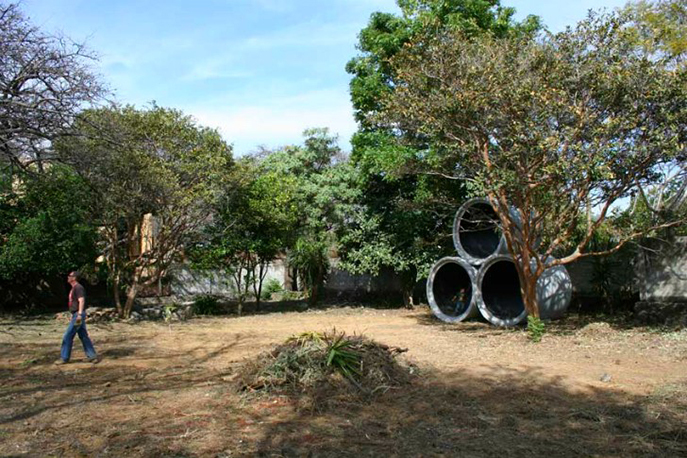 Construction of the hotel took about 3 months. 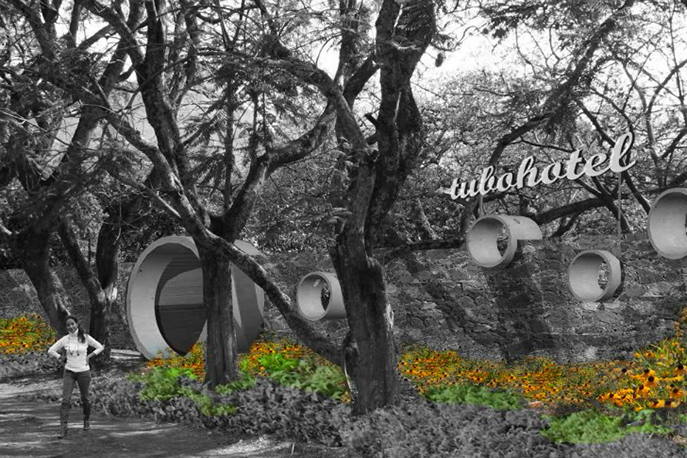 The tubes were placed around a central outdoor courtyard situated amongst the trees with respect to the topography. 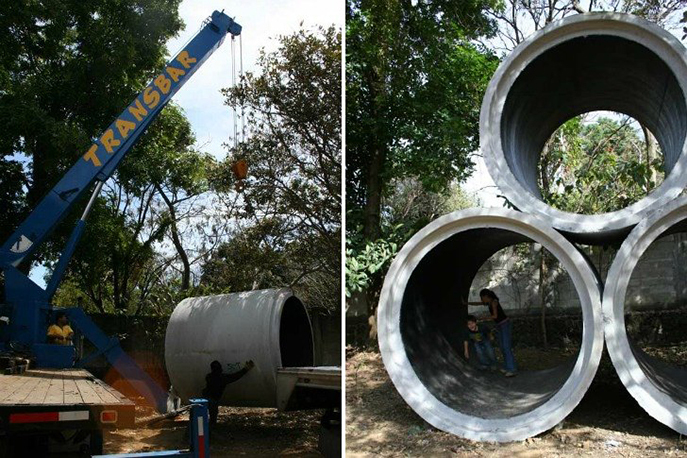 Lifting the tubes into place. 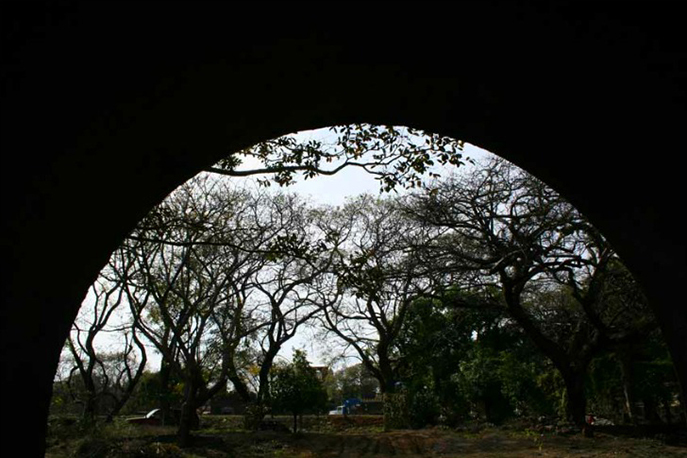 View from inside a tube during construction. 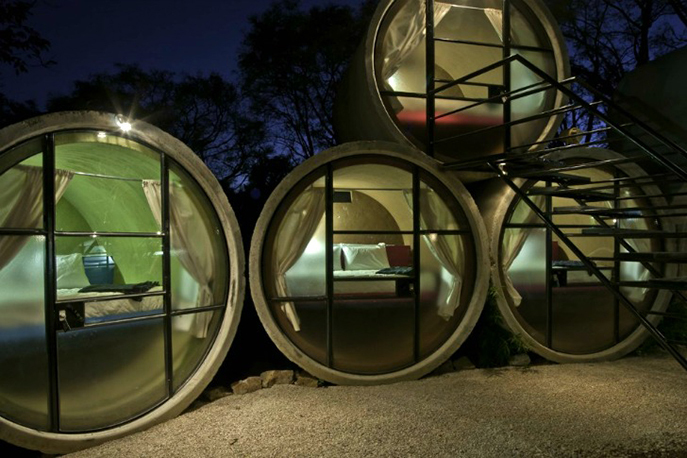 Early rendering of the Tubehotel.